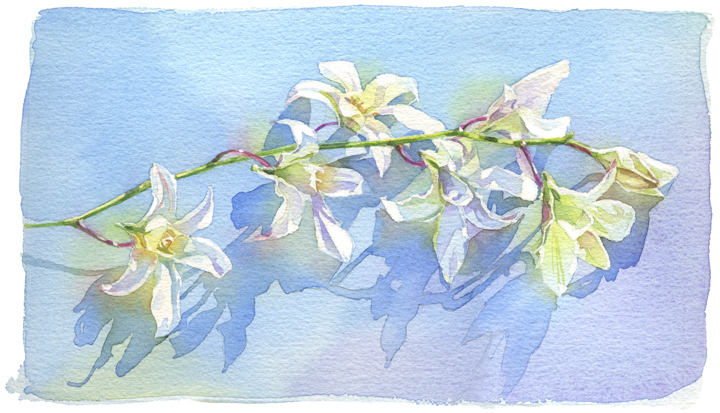 I use the Giclée printing process because it accurately duplicates the luminous quality of my watercolor paintings. The printing process uses pigmented inks printed on watercolor paper making them them long lasting archival prints. Estimated to last 100 years. Each print is signed and numbered. I want you to feel secure about your art purchase. If you are not completely satisfied, you can return the print for reimbursement to your credit card. Return shipping is free. For international sales, PayPal or international money orders are accepted and shipping charges are applied. Please contact me to inquire about international shipping costs. I'd love to hear from you. Please send your comments,suggestions and questions to my Email address or give me a call. Please include a subject in your email address. All prints carry a 10-day money-back guarantee from date of delivery, when returned in original condition and in the original shipping container. SHIPPING: Free shipping for orders shipped within the United States. Books that feature my paintings are: "Splash 5, The Glory of Color", "Splash 6, The Best of Watercolor" and "Object lessons". A featured article in The Fall issue of Watercolor magazine describes my watercolor painting technique.